Members £25 / Non-members £50. Cost includes materials. 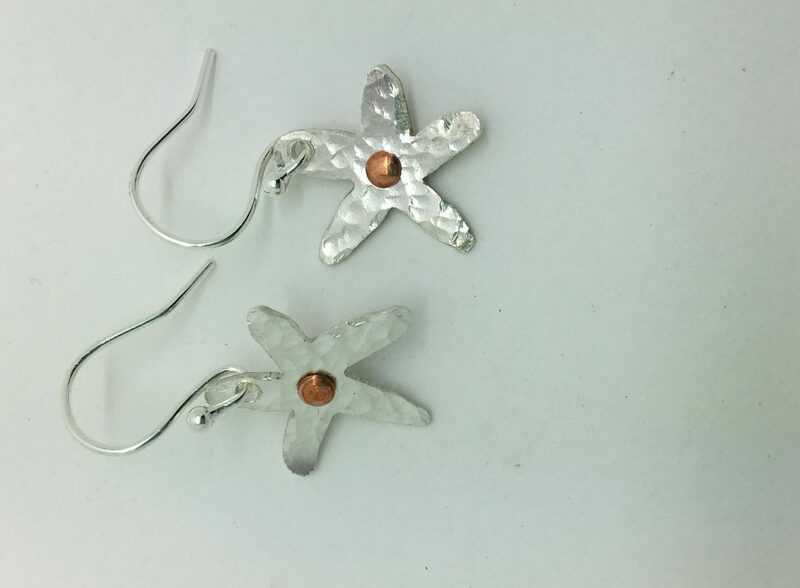 In 3 hours you will learn the basics of silversmithing – sawing, soldering, filing, texturing and polishing. You will leave having made a nice piece of jewellery and had some fun making it. There are two places available. There is wheelchair access but you would need to be able to stand up to solder. Hot or cold drinks and biscuits are provided. It is advisable to wear close-toed shoes, tie any long hair back and bring glasses if you wear them for close up work. Chains for pendants are not included in the cost but will be available to purchase on the day. Extra materials also available to buy if you wish (and have time) to make extra pieces of jewellery. To be run by Helen Harrison at her workshop between Cheltenham and Evesham.